This stainless steel bat cookie cutter is great for cutting out bat shapes out of cookies, pastries and fondant. 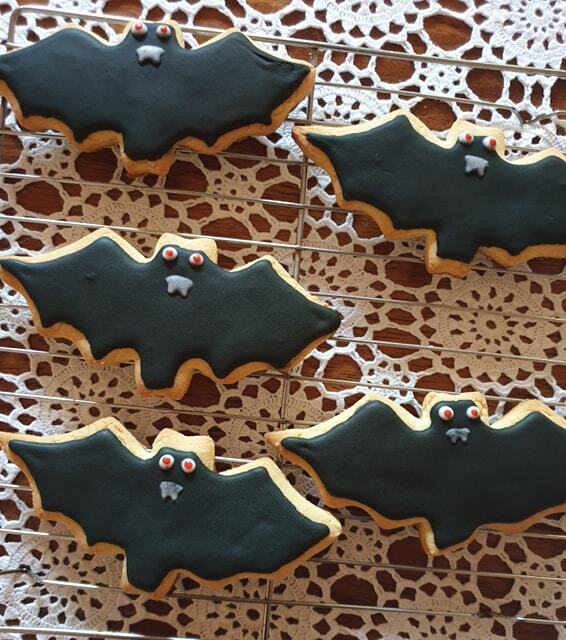 Great for Halloween themed cookies and decorations. Made out of stainless steel. Measures approximately 137mm width and 60mm high.